As Dr. Mercola reports below, obesity rates have increased so much that it is now becoming a bigger problem globally than hunger. These statistics have changed dramatically over the past six decades. As stated in today’s featured documentary, Globesity: Fat’s New Frontier, no low- to middle-income country has successfully managed to reduce hunger without shifting over into obesity, and very rapidly at that. By 2010, the world’s hungry had marginally grown to 800 million, while the number of obese citizens of the world had ballooned to 500 million. The rate of “extreme obesity” (people with a BMI above 40) rose by 350 percent over the past few years alone in the US. “In India, it’s anticipated that 100 million people will have diabetes in the near future and in Mexico, the largest consumer of carbonated beverage in the world, where diabetes is already a headline killer and where the weight problem is so acute, special programs have been made available offering free fitness classes and bariatric surgery. Carb-rich highly processed foods, along with rarely ever fasting, are primary drivers of these statistics. Wherever a highly processed food diet becomes the norm, obesity inevitably follows. In the 1950s, the food available was mostly fresh and grown locally. Today, the majority of foods consumed—even in the developing world—are highly processed foods, filled with sugars, harmful processed fats, and chemical additives. Perhaps one of the strongest links can be seen with soda consumption. As sweetened beverages have become more common in developing countries, obesity rates have started climbing right along with beverage sales. This is likely why Mexico has become so obese. They consume enormous quantities of soda, which is largely a result of lack of access to clean and inexpensive water alternatives that will not get them sick. According to research published last year, one in five American deaths is now associated with obesity. And while the effect varies somewhat by your gender, race, and age, the younger you are, the greater obesity’s influence on your mortality. 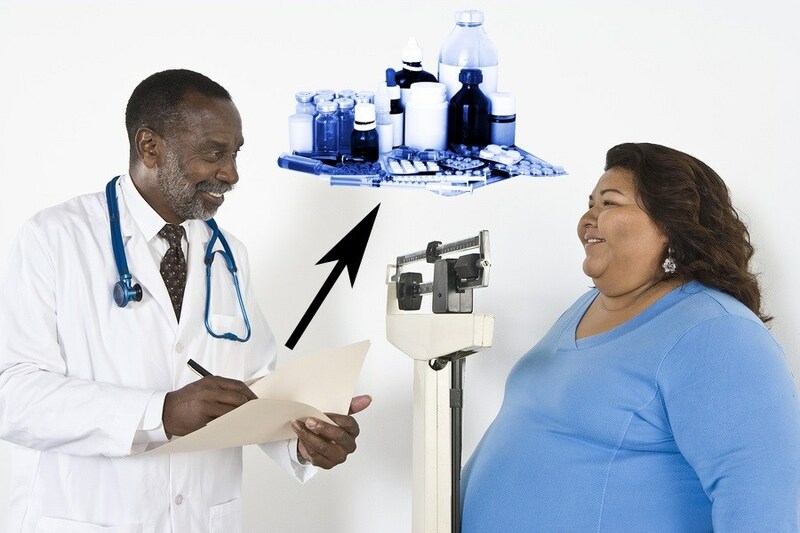 Considering the dramatic rise in childhood obesity (one-third of American children aged two to 19 are now overweight or obese), these facts spell serious trouble for the future of our health care system, not to mention the overall quality of life for vast numbers of people. As previously reported in the Guardian Express, kids are 40 percent heavier today compared to just 25 years ago, and a growing number of studies have linked rising childhood obesity rates to increased consumption of sugary beverages (including those sweetened with no- or low-cal sweeteners). Most parents go to great lengths to keep their children safe from physical dangers. Yet, the majority of parents feed their children harmful foods without a thought for future consequences. It’s not the occasional treat here and there that I’m referring to. It’s the fact that many children around the world are raised on processed foods, pizza, French fries, and fast-food hamburgers these days. And the outcome is identical regardless of which nation you live in. As stated in the featured film, processed food products are just as dangerous to your health as tobacco and alcohol. Data collected from over 60,000 Canadians has confirmed this, showing that obesity now surpasses smoking in terms of creating ill health. Leading a common-sense, healthy lifestyle is your best bet to achieve health and longevity, and it really starts with your food choices. For a comprehensive guide on which foods to eat and which to avoid, please see my nutrition plan. Generally speaking, you should be looking to focus your diet on whole, ideally organic, unprocessed foods. For the best nutrition and health benefits, eat a good portion of your food raw. I believe the two primary keys for successful weight management are severely restricting carbohydrates (sugars, fructose, and grains) in your diet, and increasing healthy fat consumption. This will optimize your insulin and leptin levels, which is key for maintaining a healthy weight and optimal health. The other part of the equation that is rarely addressed is the amount of protein consumed. There are a number of reasons why I believe it’s best to limit your protein intake. The first is that if you eat large amounts of protein your body doesn’t need, it will convert most of the excess calories to sugar. Additionally, it will need to remove the nitrogen waste products from your blood, which stresses your kidneys. Excessive protein can also have a stimulatory effect on mammalian target of rapamycin (mTOR)—a pathway that seems to be largely responsible for the pathology seen in cancer growth. When you reduce protein to just what your body needs, mTOR remains inhibited, which helps minimize your chances of cancer growth. Last but not least, mankind also needs to return to traditional fare such as fermented foods. Virtually every country has a history of fermenting or culturing foods, and these are critical for gut health. About 80 percent of your immune system resides in your gut, and research is stacking up showing that probiotics—beneficial bacteria—affect your health in a myriad of ways; it can even influence your ability to lose weight. A healthy diet is the ideal way to maintain a healthy gut, and regularly consuming traditionally fermented foods is the easiest, most cost effective way to ensure optimal gut flora. As for beverages, clean, pure water is your best bet. It’s really the only liquid your body truly needs. Getting sufficient amounts of exercise is also critical. Even if you’re eating right, you still need to exercise to reach the highest levels of health, and you need to be exercising effectively, which means including high-intensity activities into your rotation. High-intensity interval-type training boosts human growth hormone (HGH) production, which is essential for optimal health, strength, and vigor. HGH also helps boost weight loss. So along with core-strengthening exercises, strength training, and stretching, I highly recommend that twice a week you do Peak Fitness exercises, which raise your heart rate up to your anaerobic threshold for 20 to 30 seconds, followed by a 90-second recovery period. Additionally, a growing body of evidence shows that intermittent fasting is really effective for losing weight, improving your insulin and leptin receptor sensitivity, and can go a long way toward improving your overall health. This makes logical sense when you consider that our ancestors never had access to food 24/7. Our bodies are indeed “programmed” to not eat for periods of time. One of the mechanisms that make intermittent fasting so effective for weight loss is the fact that it provokes the natural secretion of human growth hormone (HGH), which is a fat-burning hormone. Fasting also increases catecholamines, which increases resting energy expenditure, while decreasing insulin levels, which allows stored fat to be burned for fuel. It’s important to realize that sugar is a primary dietary factor driving obesity and chronic disease development. Many also eat far too little healthy fat, and the combination of too much sugar and too little fat is driving disease rates through the roof. Understanding this formula puts you in the driver’s seat when it comes to prevention. Again, a diet that promotes health is high in healthful fats and very, very low in sugar and non-vegetable carbohydrates, with a moderate amount of high-quality (organic, pastured) protein. If you and your kids are hooked on fast food and other processed foods, you may need some help to kick the junk-food lifestyle. My optimized nutrition plan offers a step-by-step guide to feed your family right, and I encourage you to read through it now. You can find even more help in the book I wrote on the subject, called Generation XL: Raising Healthy, Intelligent Kids in a High-Tech, Junk-Food World.